Product prices and availability are accurate as of 2019-04-19 23:57:29 UTC and are subject to change. Any price and availability information displayed on http://www.amazon.co.uk/ at the time of purchase will apply to the purchase of this product. 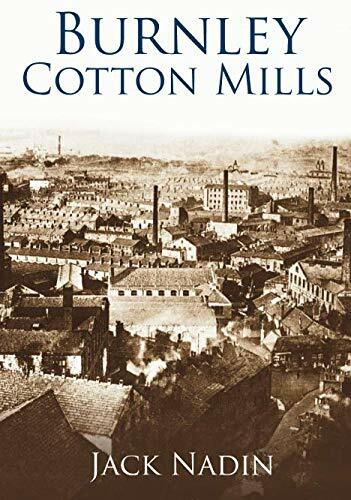 Sixty years ago if you looked down onto the town from nearby Healey Heights, or even higher somewhere near Crown Point, in all probability all you would see was a layer of what looked like cotton wool with pins sticking up out of it, mill chimneys rising out of the smoke. It was rare at any time other than "Burnley Fair" week in July for the air to clear sufficiently to get a really good view down onto the town. That is my childhood memory and I suspect is not far off the reality. (Yes, though born in what is now Cumbria I spent most of my childhood in this great mill town and am proudly an 'old boy' of Burnley Grammar School for Boys, now also long gone through an episode of educational vandalism). "Great mill town"? 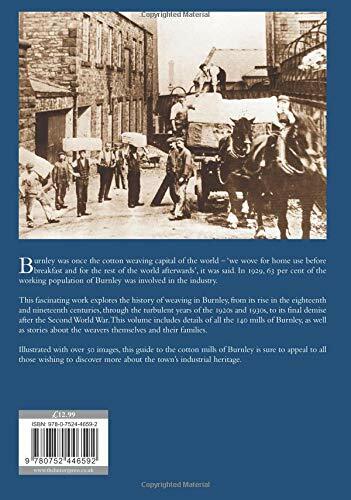 Scarcely a suitable description of Burnley today, but back then in the fifties the Lancashire boilers were still smoking and the shuttles were still flying. 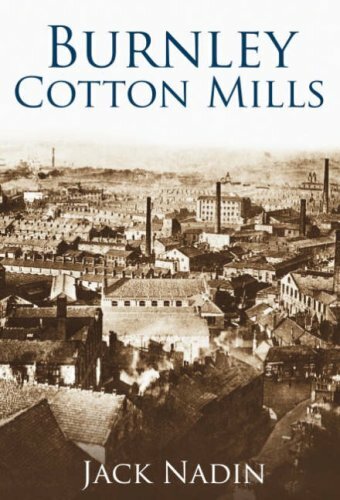 Going back further to the beginning of the 20th century more cotton fabric was woven in Burnley than anywhere else in the entire world. 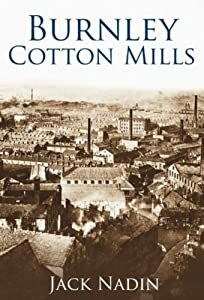 This book shows and tell something of those mills.